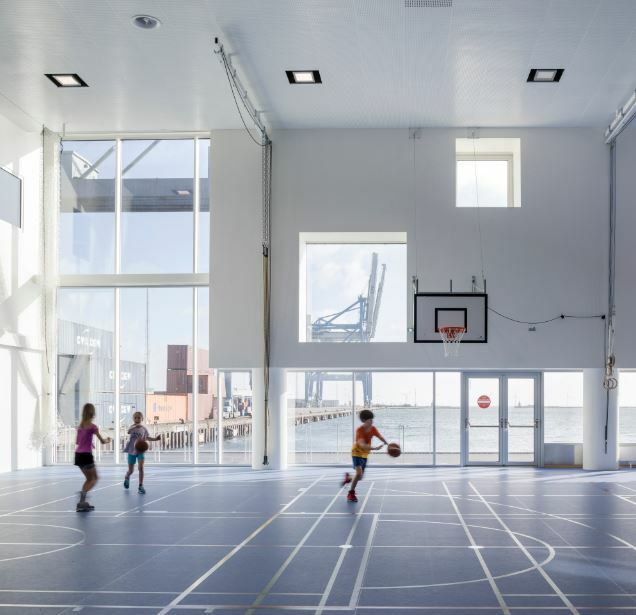 The Copenhagen International School will be opening a 25 000m² new building, called CIS Nordhavn, in the prominent Nordhavn district. The modern educational architecture is designed to link the school premises with the public sphere, and give the school an open ambience. 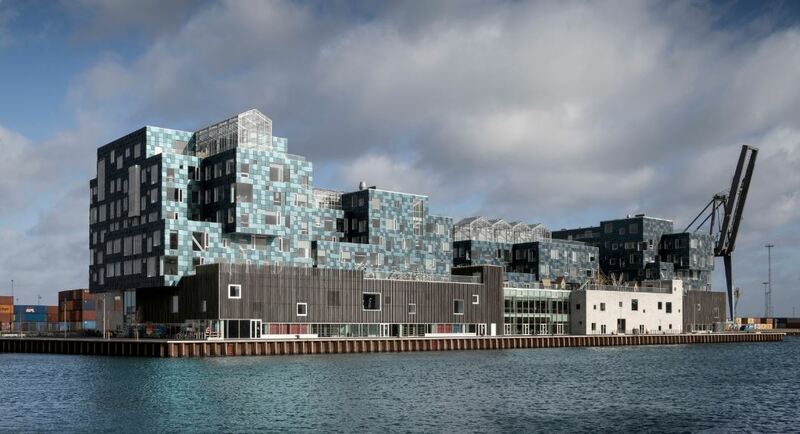 Upon completion, it will be the largest school in Copenhagen, accommodating 1200 students and 280 employees. The building was designed by C.F. Møller Architects for Property Foundation Copenhagen International School (ECIS) with Niras as the engineer. The urban environment where the school is based will be adjacent to a portside space where students can relax and partake in various activities. The building includes four smaller towers that have each been designed to meet the needs of children at various stages of their development. Younger pupils, for example, will have a space designed to include drama/performance facilities, PE and green spaces. The ground-floor base that houses the four towers includes a library, sports facilities, a canteen and other spaces for physical activities. The common areas remain open outside school hours. An elevated school playground is situated on a roof terrace, which prevents children from straying from the school premises or coming too close to the water. Over half of the school’s electricity will be supplied by the building’s unique façade, which is covered with 12 000 solar panels that have each been individually angled to create a sequin-like effect. It is one of the largest building-integrated solar power plants in Denmark, covering 6048m². An estimated 200MWh per year will be produced from these solar plants. Students will be able to monitor the energy production of the solar panels in mathematics and physics classes. An additional planned phase of the school includes an urban park on the water in front of the school called “The Nordhavn Islands”. Planned activities on the islands include kayak polo, aqua learning, a harbour bath with a sauna and other water sports. For more information, visit www.v2com-newswire.com and www.cfmoller.com, to which full thanks and acknowledgement are given.